What does plumbing mean to you? Well to us it means more than just a job. plumbing is one of the most important services in our country that sets us apart not only in convenience and comfort but most importantly in its health. We look at the plumbing in your house as the first line of defense from sickness and disease. From having clean water to wash your hands and shower with, to making sure that all the dirty and used water in your house makes its way to the correct sanitation facility, plumbing gives us the ability to live the life that we want to without fear of disease or bacteria being associated with the plumbing in our homes. Plumbing also makes our lives better. Who wants to take cold showers or wash their car with hard water leaving mineral deposits on it. Water heaters impact our life in a way that we forget about a lot of times until it is not there. Whether or not you know it a water heater is a required part of a home. That is the importance placed upon having hot water to sanitize our dishes, clothes and bodies. Then there is the relaxation that a good shower or soak in a tub can provide after a long day. Many people want there own small getaway in their master bathroom, to be serene and therapeutic. Since we know that having plumbing is a necessity to life it is good to know that you can be good stewards with the water and power that you use in your home in regards to the plumbing. Low flow faucets and high efficiency (HE) toilets help everyone to use less water in their daily lives. Improvements in water heating technology has made it possible to have heaters that meet the Energy Star rating system. Recirculation systems can get the hot water to where you want it faster and with less lost water. 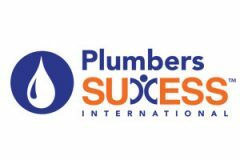 So you can now see why we are so passionate about all facets of plumbing, whether it be service work, a repipe of an existing home or working with a contractor to build a new home. We know that if you think about it you love your plumbing too.